Starting With Ingredients, Quintessential Recipes For The Way We Really Cook, is one of twelve cookbooks this James Beard Award Winning Author has written. 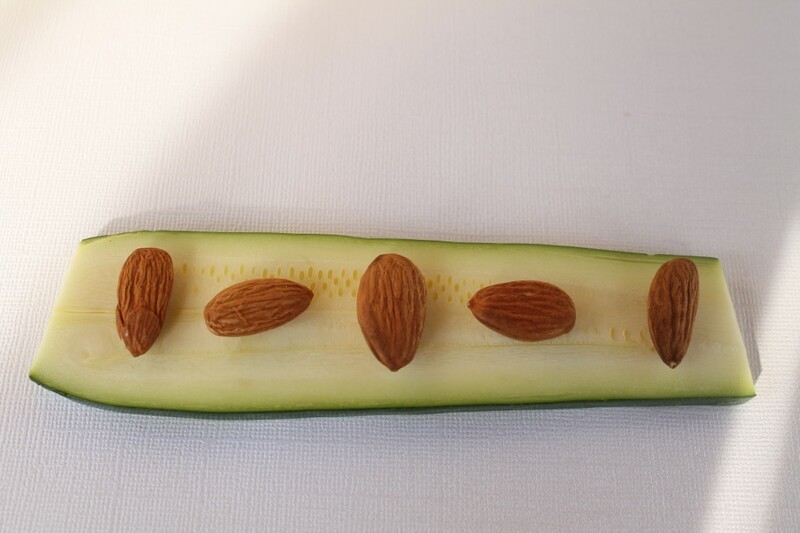 A one hundred-chapter compendium from A for Almonds to Z for Zucchini Green shares interesting stories about how food is used in different cultures, ethnic specialties and ingredient preparation throughout history while providing recipes drawing from both traditional and modern techniques. The easy reference cookbook unfolds multiple ways to use individual ingredients simply on their own, letting a single ingredient speak for itself, combining the ingredient with other complementary ingredients, or dividing ingredient portions for another meal. 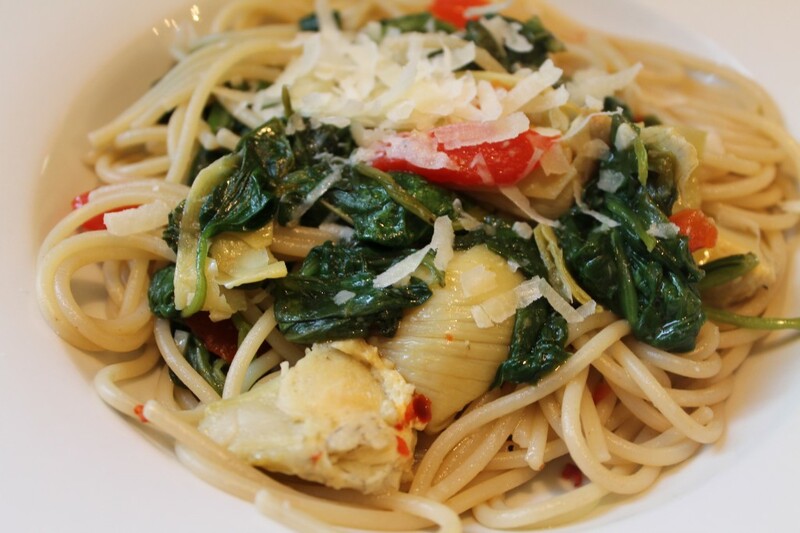 One ingredient idea Aliza shared is with Swiss chard found in the cookbook Chapter: Greens. “Did you know that the Swiss chard has two separate uses?’ she asks ” The Greens can be used in soups or dishes” (such as the Greek Mixed Greens Pie with Poppy Seed Topping in the recipe below) “The center ribs of the chard are then like getting a free vegetable that have a flavor somewhere between artichoke and celery and can be made into a creamy gratin.” Green encourages the effective purposing of ingredients without waste throughout the entire food cycle and she shares easy tips on how readers can easily save and use ingredient trimmings for making stocks for soups or sauces. 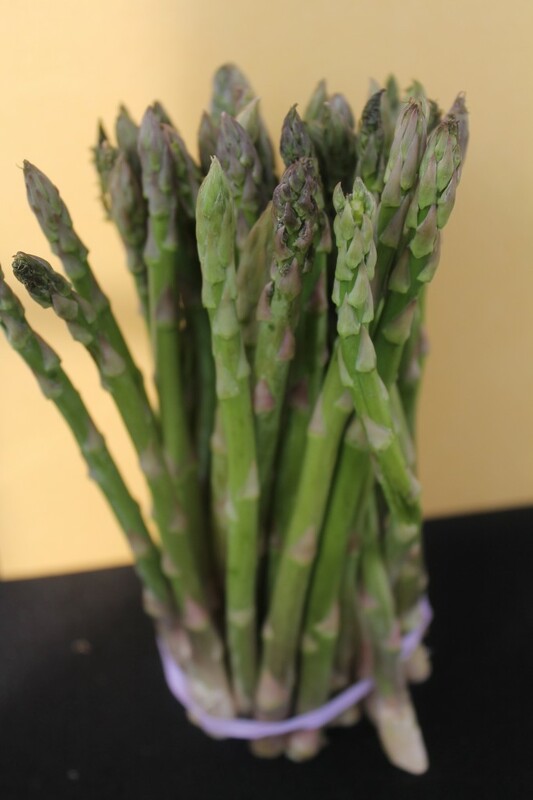 Long before the food to table movement achieved the notoriety of today Green was working daily with local farmers regularly focused on providing dishes with ingredients picked from the field and served to restaurant diners the same day. She also encouraged area farmers to try planting and growing specialty produce as the yellow pepper and zucchini blossoms. 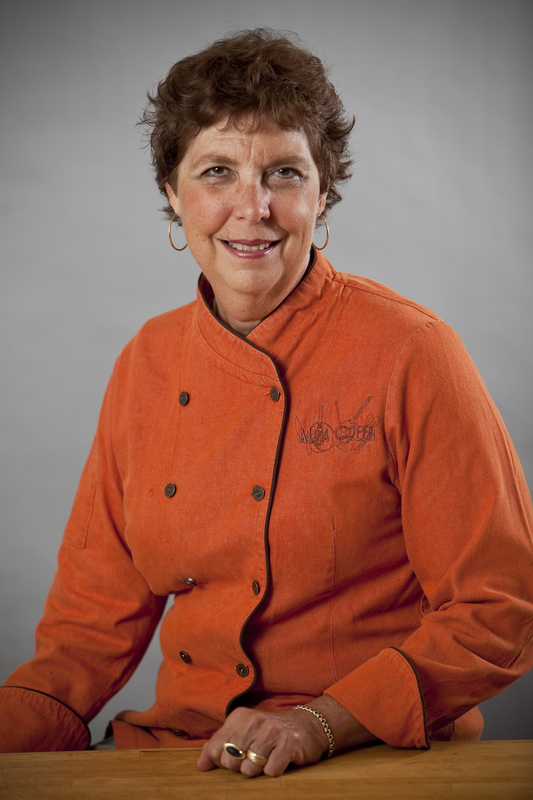 Greens approach was one she then continued as Executive Chef at Philadelphia restaurants: Apropos and the White Dog Cafe, where she was also a restaurant Partner. Taking another liberty off of Alizas’ site I thought it might be informative to share a how-to program featured on ABC of Aliza instructing how to make fresh pasta. Watch it here. The set provides a good initiation to another of her cookbooks that I very much enjoy: Making Artisan Pasta, How To Make A World Of Handmade Noodles, Stuffed Pasta, Dumplings And More. From a chef’s perspective, Italy is a place one can observe how Aliza values the importance of food simplicity and fresh ingredients. Her enthusiasm shines forth as she speaks of fresh picked wild asparagus simmered and served on its own, the concept of making a dish using just four ingredients, each one ingredient balanced and perfect with the other, a bowl of fresh made poppy leaf pasta with exceptional local olive oil all teaching an appreciation for each food ingredient. For this writer, as I post my first article of Spiced Peach Blog, Starting With Ingredients, its content and focus is apropos, written by an author who generously provided an exciting chapter and life learning experience for me once before many years ago, and, I always know about my ingredients! 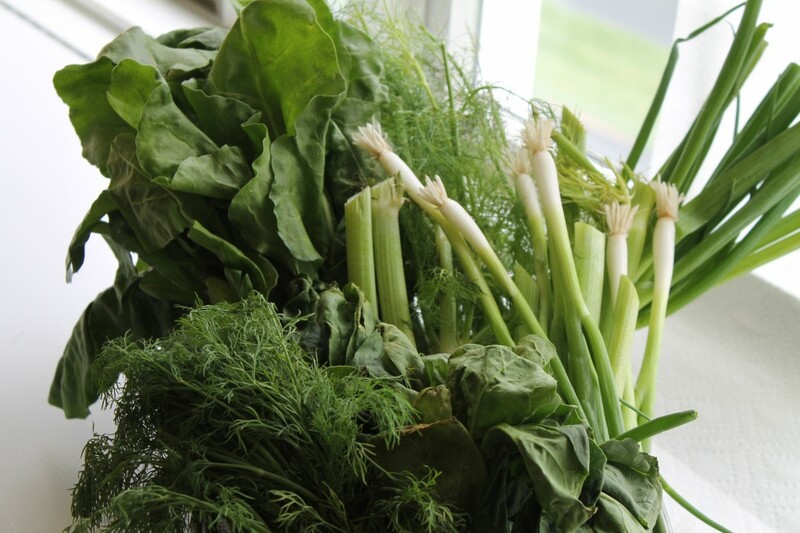 Combine the spinach, chard, watercress, and dill in a large bowl of lukewarm water. Swish around vigorously to dislodge any sand. Scoop the greens from the bowl. If there is more than a tiny bit of sand left in the bowl, repeat the process. Transfer the cleaned greens to a large pot. Cover and heat until the greens are just barely wilted, turning them around once or twice so the greens on top cook also. Drain and rinse under cold water. Squeeze out the excess water, slice the greens into 1-inch-wide strips, and reserve. Preheat the oven to 375 F. Chop the fennel stalks in the food processor (or by hand) into small bits. In a large heavy skillet, cook the scallions and fennel in 2 tablespoons olive oil until crisp -tender, about 5 minutes and reserve. Combine the cooked greens with the fennel mixture. Add most of the eggs (reserving about 2 tablespoons for the egg wash), the feta, and plenty of fresh ground pepper to taste. 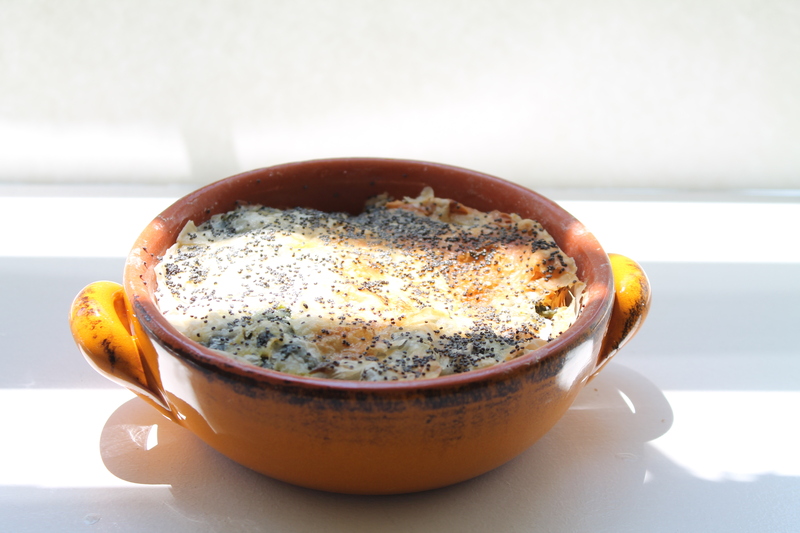 The feta is salty, so salt isn't necessary. Layer 8 sheets of phyllo, folded to fit, on the bottom of a buttered 9x13-inch metal baking pan or a large, rectangular, shallow decorative ceramic baking dish, brushing every other sheet lightly with oil. Spread half the filling evenly over the phyllo. Cover with eight more sheets of phyllo, brushing with oil in between every other sheet. Spread the remaining half of the filling over top. Finally, layer with 8 sheets of phyllo, folded to fit, brushing those pairs with olive oil too. Mix the remaining 2 tablespoons of beaten egg with 1 tablespoon of water. Brush the top of the pie with the egg wash and sprinkle evenly with the poppy seeds. Gently score the pie on the diagonal into serving pieces. 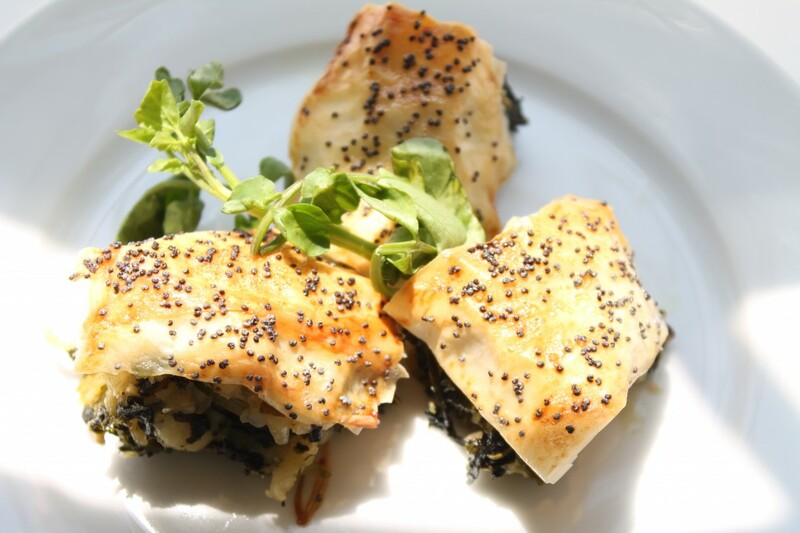 Bake 45 minutes, or until the phyllo is crisp and golden. Cool somewhat before cutting into serving pieces, and serve. This entry was posted in Cookbooks, Veggies and tagged Greek Mixed Greens Pie with Poppy Seed Topping, Interview with Aliza Green, Spiced Peach Blog, Starting With Ingredients Cookbook. Bookmark the permalink. Post a comment or leave a trackback: Trackback URL. Congratulations on your first posting! Well done. Thank You Ev! You are officially my first Comment Post! Much Appreciated. Congratulations. The first of many great blogs to come. Could you have one for “cooking for one”? As one of the pioneer chefs who helped make Philadelphia a major dining destination, Aliza Green is the perfect subject for your first blog. I can’t wait to see what your next blog is about. Thank you Bob. The next Post will be on Monday, the 30th, Grilled Chicken Pinwheels. This is amazing Peggy! It’s making me hungry reading it!!! 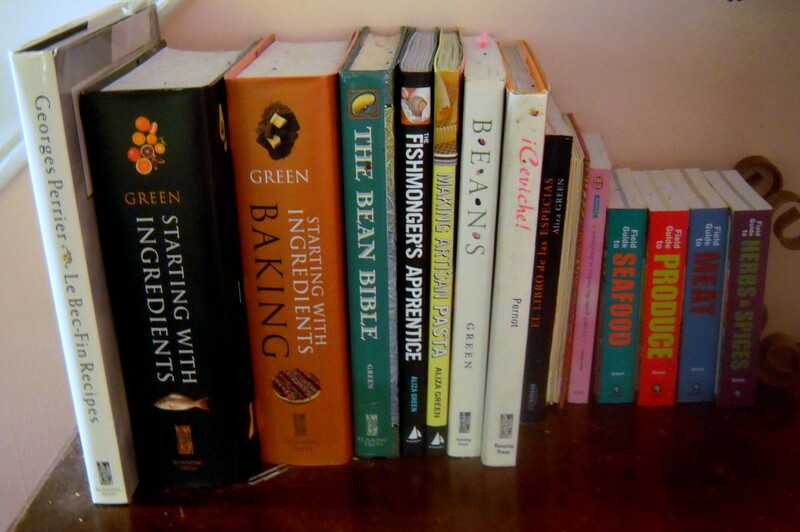 I can’t wait to read more recipes, and maybe make some!!!! Thanks Rebecca, looking forward to providing a couple of excellent Welsh recipes in the future! Very exciting Peggy!! Looking forward to following and learning along the way, GOD KNOWS I NEED ALL THE HELP I CAN GET. It looks fantastic and my first step is to purchase Aliza’s book. My goal is to make more then reservations. Thank You Carolyn. Bon Appetit! I recently bought The Fishmongers Apprentice by Aliza and have enjoyed many recipes from there. My family loves the seafoods and I enjoy the simple ingredients that so many of her recipes call for. I enjoyed reading about this book and the beautiful pictures in your blog. I read about your Korean daughters. Do you make Korean dishes? I’m from Asia but not Korean and enjoy the diversity of cuisine here in the USA. Hi Sunny, Thanks so much for your comment. I too very much enjoy Aliza’s book, The Fishmonger’s Apprentice. Besides its excellent instructional value on a broad selection of fish and their preparation, I also find the stories covering an expansive range of experts in the seafood industry very interesting. I do make Korean dishes at home and my daughters love Korean food. Admittedly, I do not make my own Kim Chee since we have so many excellent Korean markets with excellent fresh Kim Chee nearby. Well I just got my Aliza Green cookbook in the mail, I am ready for the journey. BTW… Those crabcakes look amazing. Yummy!! So happy your cookbook, Starting With Ingredients has arrived, I’m sure you will enjoy it and learn much! In regard to the crab cake Post, please do try them, they are the best I have ever had. Thanks again for being a part of the conversation. It’s remarkable to go to see this website and reading the views of all mates about this article, while I am also keen of getting experience. Happy you are enjoying Spiced Peach Blog Lloyd thanks for joining us and being a part. article? I’d really love to be a part of community where I can get feedback from other knowledgeable people that share the same interest. If you have any recommendations, please let me know. Thanks a lot! Hello Lloyd thanks so much for your comment and inquiry. 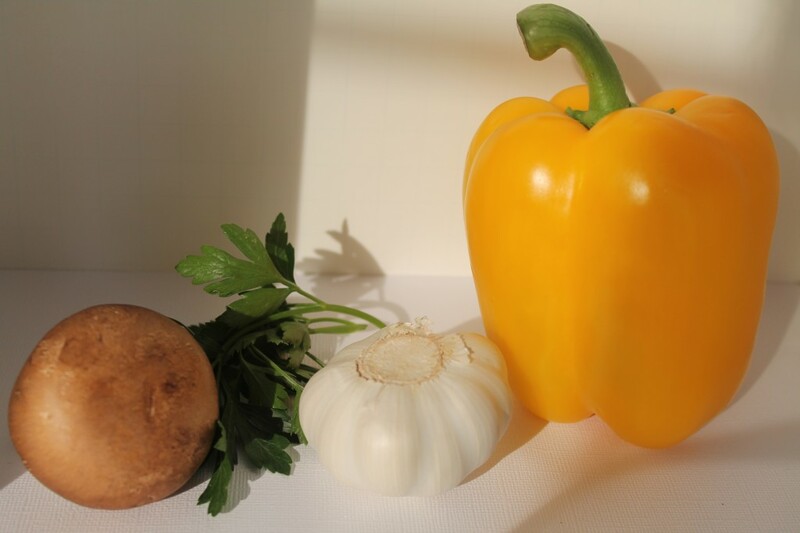 At this time the main sources I am aware relative to Food Discussion Boards are Google + which I myself have joined but am continuing to learn its processes, as well as you might participate in Food Groups on Linked In. Most of these groups are open to the public with only a few requiring organizational membership. There are other venues to consider too as Food Meet-Up Groups and Clubs. As far as Food Blogs, many cover a full variety of ingredients within their recipes and topics. 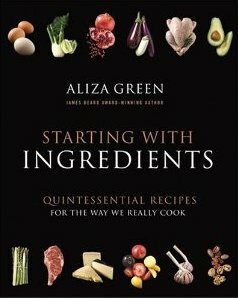 I myself have Aliza Green’s, Starting With Ingredients Cookbook and enjoy it immensely and continuously find it packed with valuable, useful information. Wish I could be of more help but hope you will continue to stay tuned in our Shared Table on Spiced Peach Blog along the spice road of food and friendship.